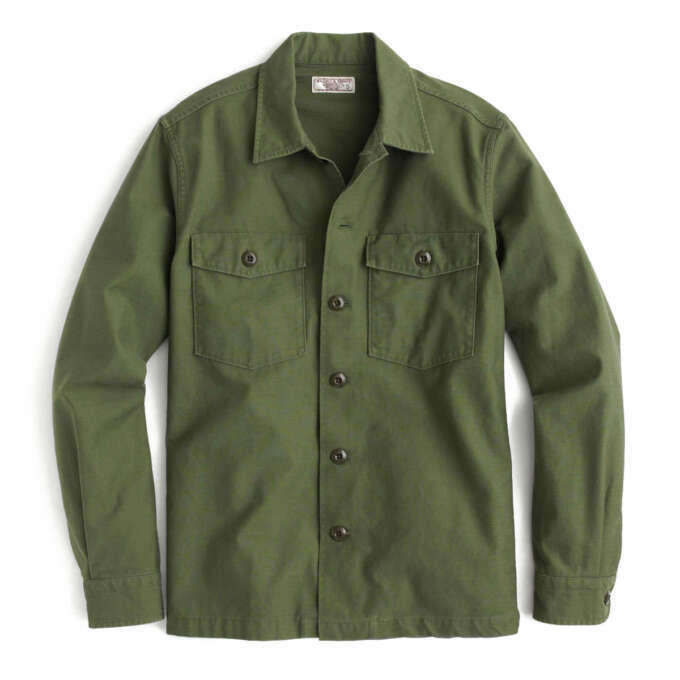 It's no secret that we're big fans of military surplus making its way into mens clothing. We've already written about it extensively in our articles focusing on the tropical combat jacket and our guide to camouflage in menswear. This is no idle interest or obsession, there is a reason designers keep repurposing and re-issuing military inspired gear season after season. It's practical, it's simple and there is such a wide range of styles to draw upon. What we're focusing on here is the actual tone that many of these items are produced in—olive drab. Five Easy Pieces is a new series where we will be looking at a micro-trend or singular style and identifying a few of our favourite items to incorporate into your wardrobe. 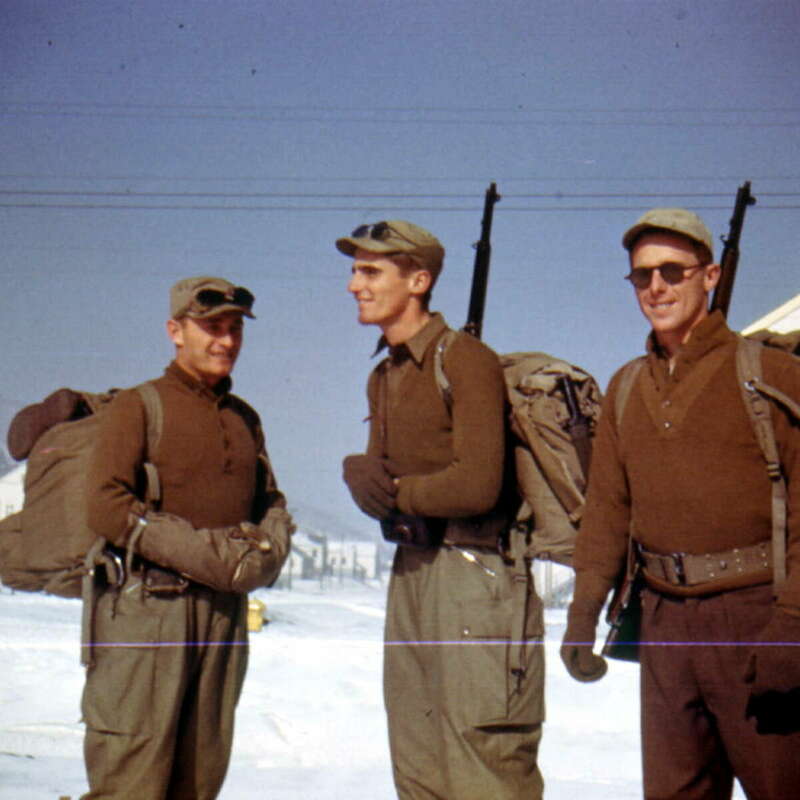 American olive drab in the post war period became lighter, greener. Olive drab isn't a colour thats easily identifiable, it's more a range from a lightish green to a deep grey/brown that constitute the traditional colours of military dress in the 20th century. In a general sense the American olive drab is greener and lighter and the European (most notably British) variants incline towards a darker browner tone. If you’re the type of guy whose wardrobe constitutes a sea of blue then olive drab is just the colour you need to add some variety. As this image from the (Japan only unfortunately) North Face Purple Label AW2016 collection shows, olive drab pairs beautifully with navy and grey making it an accessible colour to add to a wardrobe. NATO straps (the woven kind seen on the watch) were originally issued to British soldiers in 1973. Initially only in admirality grey they were quickly adapted to represent the colours of individual regiments and units. First of all if you haven't got a military style watch among your accessories, you really ought to. They look great with casual outfits, they are tough and generally speaking pretty cheap, even vintage models (since they were produced en masse). If you are in need then the TIMEX Mk-1 is a good a choice as any. 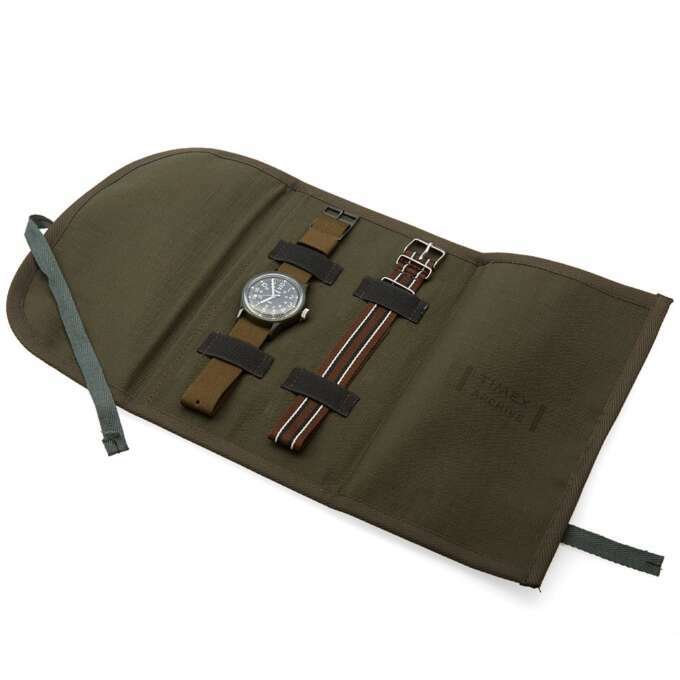 It's based on a classic '80s US design, comes with a choice of NATO style straps and is presented in a smart ripstop case while costing only slightly more than €100. A military style overshirt in olive drab is a great addition to a wardrobe and can work much the same way as a flannel shirt would. Dress it down with jeans & sweatshirt or dress it up with a buttondown & some chinos. It works well either way. It can work on its own as a light jacket or as a layering piece that gives you a bit of colour under a topcoat. 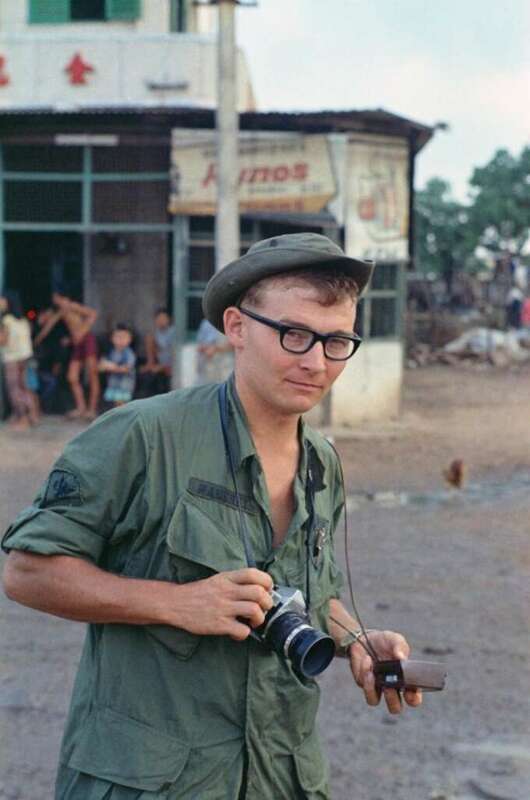 This minimal take on the US army shirt of the 1960s from JCrew is our favourite. 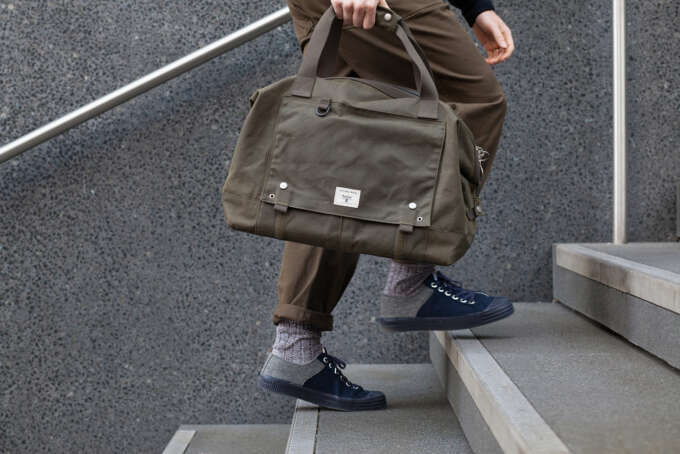 For the Advance holdall Universal Works drew on a custom design commissioned by an army captain in the 1980s. As you might know already if you saw our profile on their AW16 collection, Universal Works is really bringing it up a notch this season. 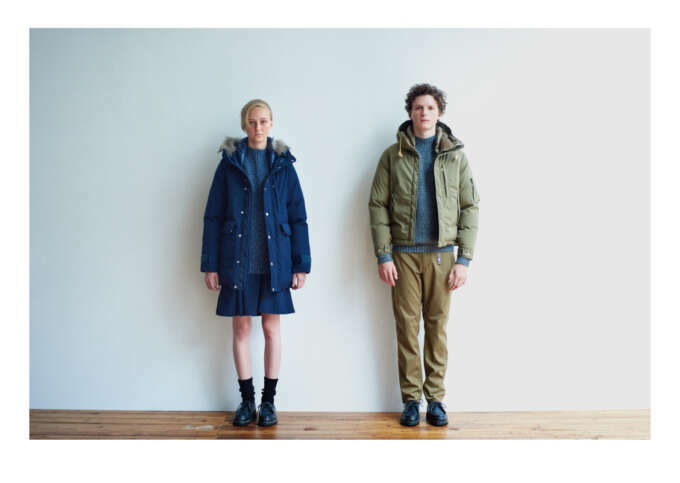 No surprise then that when they announce a collaboration with storied British institution Barbour it's fantastic. The whole collection is based on designs from the Barbour archive. It consists of a rucksack, holdall and satchel—we're particularly keen on the advance holdall based on a Falklands war-era custom design. It's a fine mixture of paired back aesthetics, classic waxed cotton and of course that British olive drab colourway. The APC para trouser is inspired by classic paratrooper pants but reinvented for a smart, urban style. 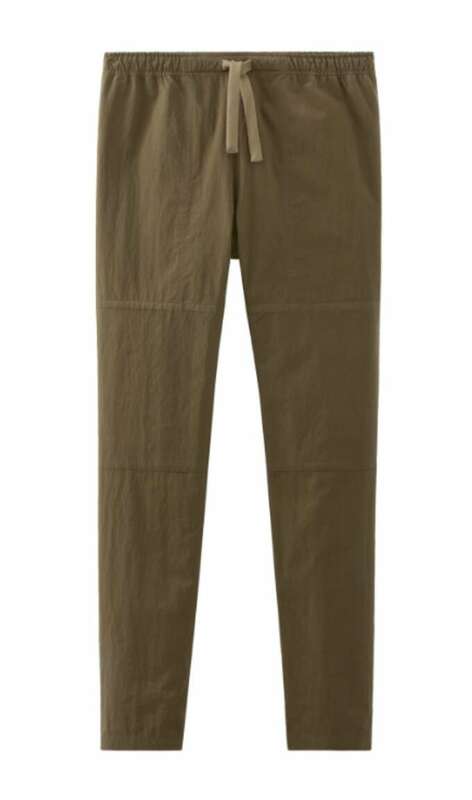 There is a lot of options out there for olive drab trousers—in particular the mid 20th century American OG-107 style—but few have the elegance and simplicity of these paratrooper inspired trousers from French brand APC. While the look and colour is drawn from mid-century styles the proportions are flatteringly slim (not skinny) and the draw string, knee patches and fatigue-style patch pocket on the back maintain the militaristic feel. That said they look as though they would be more at home along the Seine paired with a cashmere sweater than a ditch in 1950s Indochina. 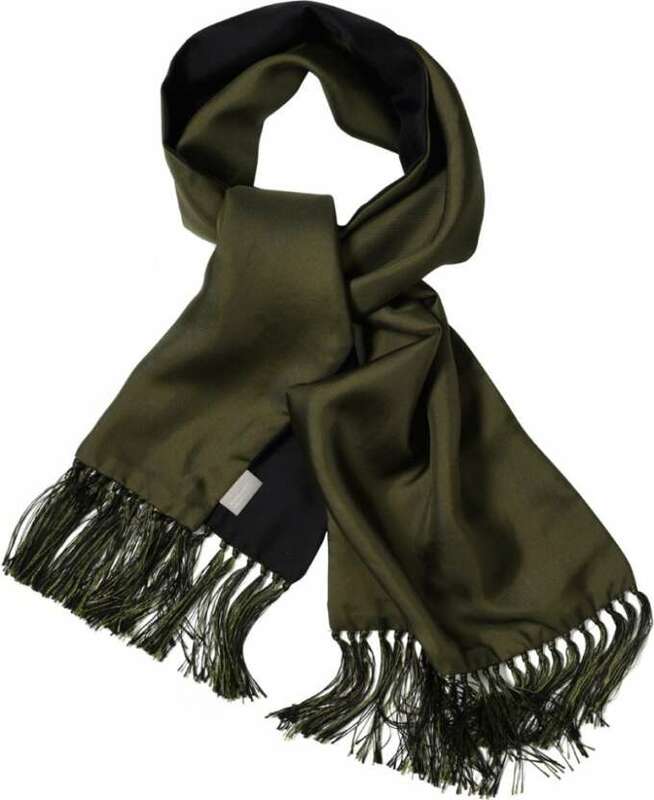 Not army issue but this scarf is a great way to add a touch of olive drab to a smart outfit. Don't dig the surplus look but still want to incorporate some versatile olive drab into your wardrobe? Look no further than this luxurious silk tassel scarf from British fashion stalwart Margaret Howell. It may lack a cool military pedigree but the alternating black and olive tones give it a pleasing graphic quality and the solid silk provides a fantastic texture that should enhance any outfit. Especially rakish if worn tied at the throat as portrayed on the runway. While it might not have the stature of blues, light khakis or greys among the colours that men instinctively gravitate towards, olive drab is just as sympathetic a match for the standard man’s wardrobe. Overdoing it can risk pushing you into survivalist weirdo territory but a few accessories or layering pieces is a great way to enhance and balance an outfit. For extra inspiration there is (of course) a tumblr dedicated to call things olive drab.